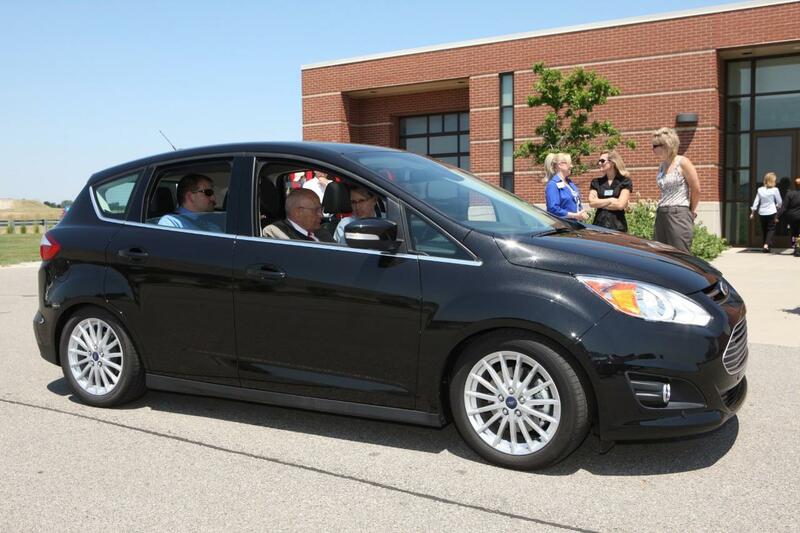 U.S. Representative John D. Dingell rides in a Ford C-MAX Energi Plug-in hybrid. The Ford C-Max's fuel efficiency isn't what the Detroit automaker advertised. According to the Associated Press, this afternoon, Ford Motor Company will announce a change in the model's gas mileage, according to a Ford source who knows about the company's plan. The AP reports the source didn't want to be identified as the announcement has not been made public yet. The AP writes that the move comes after an investigation by the U.S. Environmental Protection Agency, which enforces mileage estimates. The Ford source said that mileage estimate could be cut from 47 to 43 mpg. They confirmed that Ford followed the Environmental Protection Agency methods to determine mileage, but that the result was overstated. Customers who bought the C-Max also complained, which led to several class-action law suits. Originally marketed as a vehicle with 47 mpg in cities, highway, and combined driving, the efficiency ratings were questioned by Consumer Reports. The Ford Fusion and C-Max hybrids fell 17 percent to 21 percent short of Ford's promised combined 47 mpg in testing last year by Consumer Reports magazine, which used a different testing cycle than the EPA. The Fusion received 39 mpg and the C-Max averaged 37 mpg in tests of city and highway driving, the magazine found. 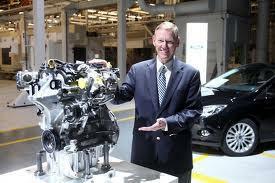 Ford is the second company to reduce the marketed fuel efficiency of its vehicles, following Hyundai. Hyundai advertised models as getting two to four miles more miles per gallon than they actually do. The C-Max was meant to compete with the Toyota Prius. After Ford lowers its mileage for the model the Prius will remain the only non-plug-in car with higher EPA fuel-efficiency than the C-Max. Ford used the 47-mpg number as the centerpiece of its C-Max advertising. Beginning in October, it aired a series of playful animated ads that pitted the C-Max against the rival Toyota Prius V. In addition to better fuel economy, Ford boasted the C-Max was more fun to drive than the Prius, as well. Auto News said fuel-economy has been in the spotlight due to more rigorous mileage standards enforced by the Obama administration. Many of the claims for better fuel economy from new turbo-charged engines are more hype than reality, according to tests by Consumer Reports, the independent consumer advocacy group. The agency tested a number of vehicles that offer regular four or eight cylinder engines, and compared them to the turbo-charged version. Turbo-charging is a technology that gets more power from a smaller engine with direct injection of extra spurts of air and fuel.